Here we have the latest Auto-Sleeper 2019 Videos for you to have a snapshot look at all of the 2019 models. This is a good video to take a look at this UK (united kingdom) great British range of motorhomes. OK, if you need more information, that is what we are here to help you with. Take a seat and sit back and enjoy this fast moving video, of the Auto-Sleeper 2019 model range. So, no matter what you are interested in, the 2019 model range has a lot to offer. 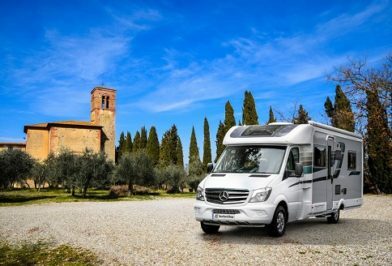 From the elegant Mercedes Benz luxury range, to modern stylish Peugeot coachbuilt motorhomes. In addition, the fantastic van conversion range, that offers a lot of dual purpose options. So, whatever you are looking for we are here to help you. Because, we have been Auto-Sleeper specialist dealers for some time, we are able to offer free advice on any of the models. The 2018 models, really have that extra looks and we are here to help anyone to buy one. Also, we have been taken orders for the 2019 model range. Therefore, if you want to be the early bird, to buy a brand new Auto-Sleeper, now is the time to secure that early delivery. Need to inspect one close up? If you have a good taste from the video of what you are looking for, just get in touch with us. We are able to show all of the 2019 range, in our indoor showroom, here in Derby. In fact, we can arrange a very personal viewing, of the model that you are interested in. Also, book a test drive with us, we take part exchanges and will help you plan a budget to buy a brand new Auto-Sleeper motorhome. Here is the very latest video of motorhomes for sale and the 2019 models from Auto-Sleeper. We have the latest Auto-Sleeper Brochure available to download. Thus, it has virtually all the details that you need to know. You can download one or call us to put one in the post to you.